OTTAWA -- Canada's largest licensed producer of medical marijuana says a work stoppage at Canada Post could leave many of its customers without their medications, resulting in some looking for unregulated, black market sources of cannabis to fill the void. "What ends up happening is that people either go without their medicine or they find an alternative source," said Jordan Sinclair, vice president of communications at Canopy Growth Corp.
"Those are the choices people have. There is no other legal means of getting cannabis in Canada, aside from through the mail." 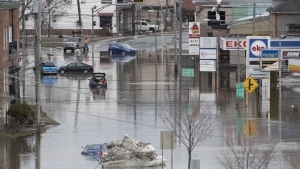 The company has written to Canada Post and federal Health Minister Ginette Petitpas Taylor as it prepares contingency plans for a possible strike or lockout at the Crown agency. "The message that we have to Canada Post and to the health minister is that this is an essential service," said Sinclair. "It is essential for people to get their medicine and if the only route is through the mail, then that has to be taken into consideration." Postal workers will be in a legal strike position on Sept. 26 after urban and rural carriers voted overwhelmingly to authorize a strike if contract talks with the agency fail. Canada Post could also lock out its employees on that date. 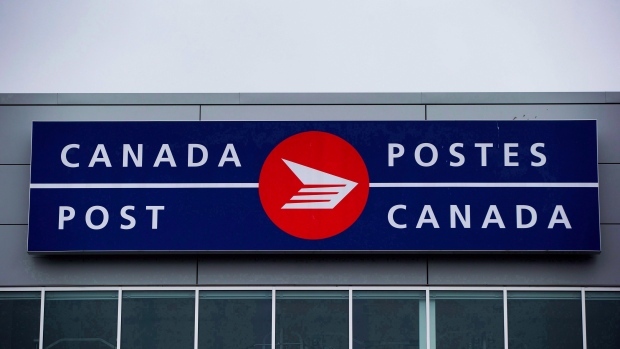 A Canada Post spokesman said Thursday that talks with the Canadian Union of Postal Workers aimed at reaching contract settlements with two sets of its members are continuing with the help of a mediator. Medical marijuana producers faced a similar circumstance in 2016 when postal workers last threatened to walk off the job. At that time, Canopy Growth subsidiary Tweed, based in Smiths Falls, Ont., proactively switched courier services in advance of a potential postal strike that never materialized. Sinclair said circumstances have changed dramatically over the past two years presenting more of a challenge. "We have way more customers, so the contingency plan has to include a lot more capacity," he said. In 2016, the company served approximately 20,000 registered clients. "Today we've got 85,000 people we have to serve, and the entire market has grown along with that," Sinclair said. "Canada Post is the lion's share of the mail that goes around in this country, so when there's a threat of a strike, it's really concerning for us and our customers." One advantage it has now that the company didn't have in 2016 is a contractual relationship with another service provider, Purolator. But, said Sinclair, "there's only so much secondary capacity." Under Health Canada's medical marijuana regulations, patients can only buy the medication from licensed producers through the mail or by courier companies that provide tracking during transit and a signature on delivery. Even with private couriers filling the delivery gaps created by a strike at Canada Post, vulnerable Canopy Growth customers may still face difficulties obtaining their medications, said Sinclair. "Typically there's a correlation between the people that are using medical cannabis and people that have limited means," he explained. "So if you're asking somebody to go out to a depot for a courier after hours if they miss their delivery, that can be incredibly inconvenient or just not feasible."